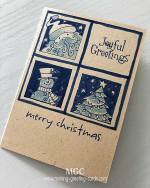 Handmade Cards by Sheerah Teo! 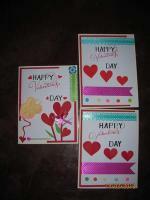 Sheerah Teo from Malaysia sent me many of her handmade cards. 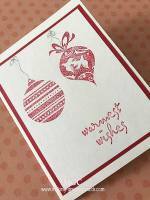 Sheerah has created quite a variety of cards - Happy Birthday Cards, Happy 21st Birthday Cards, Happy Anniversary Cards, and also a few Chinese New Year Cards. 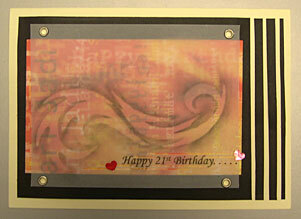 A Happy 21st Birthday Card using vellum, heart punch, eyelets and paper cutting for the border on the right. Beautiful! 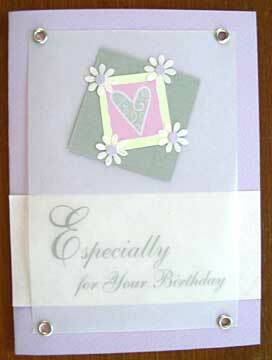 Here's another handmade card that uses punchart, eyelets and vellum over lilac cardstock. 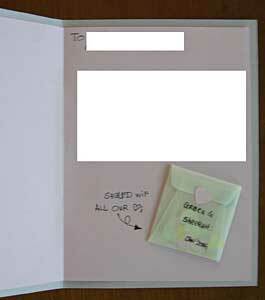 Handwritten happy birthday message and a vellum mini envelope filled with little punchlets graced the inside of this handmade birthday card. 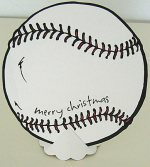 What's on the back of this handmade birthday card? 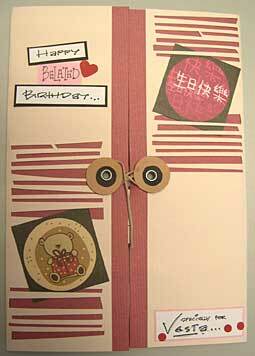 A handmade belated happy birthday card - paper-cutting and eyelets, heart and circle punches and handwritten messages in English and Chinese. 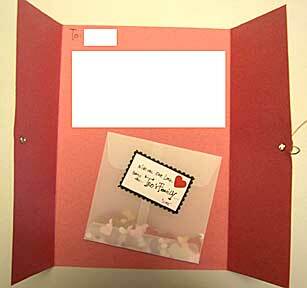 Card opened with a strings and fasteners. 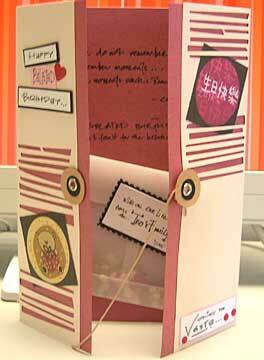 Inside of handmade belated happy birthday card.